From Canadaâ��s largest collection of beloved artist Emily Carrâ��s work, to ever-changing world-class exhibitions in a stunning neo-classical heritage building, the Vancouver Art Gallery offers the cityâ��s top cultural experience. Welcoming millions of visitors in its 75-year history, the Gallery is internationally recognized for its contemporary and historic exhibition program. Engaging public and private tours, interactive programs for all ages, art workshops and multi-lingual guides are available. 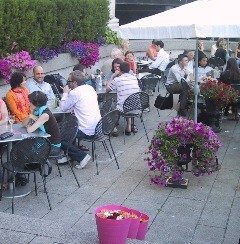 The Gallery CafÃ© (named one of Vancouverâ��s top outdoor dining patio spots by Vancouver Magazine), a to-die-for Gallery Store with smart, eclectic gifts, a convenient group drop-off area and the Cityâ��s most charming spaces for receptions and events make the Vancouver Art Gallery a â��must-visitâ�� and an integral part of the Vancouver experience. 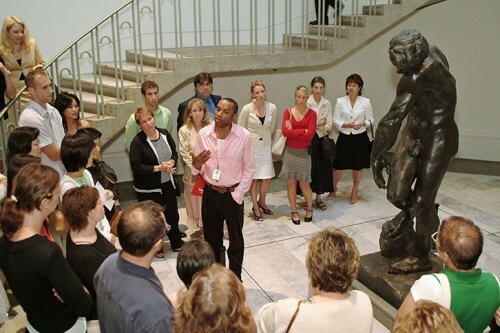 The Vancouver Art Gallery tour guides (called Animateurs) receive many accolades for their amazing ability to present a wide range of ideas related to the exhibitions in a coherent and understandable manner. 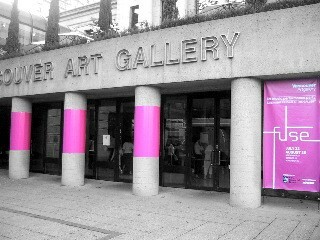 The Vancouver Art Gallery has more than 800 contemporary works of art available for rent to Gallery members. Choose from a wide range of styles and subjects, including original oils, watercolours, photographs and sculptures by local contemporary artists. All works in the Art Rental & Sales collection may also be purchased by members or non-members. For members, rental fees may be deducted from the purchase price. Every fourth Friday, Vancouver's leading visual arts destination will take on an entirely new light - at night.